5.8 oz. 100% combed ringspun cotton. Super soft 1x1 baby rib knit, sideseamed. Contoured, feminine body with a snug fit. Generous long-sleeve length. 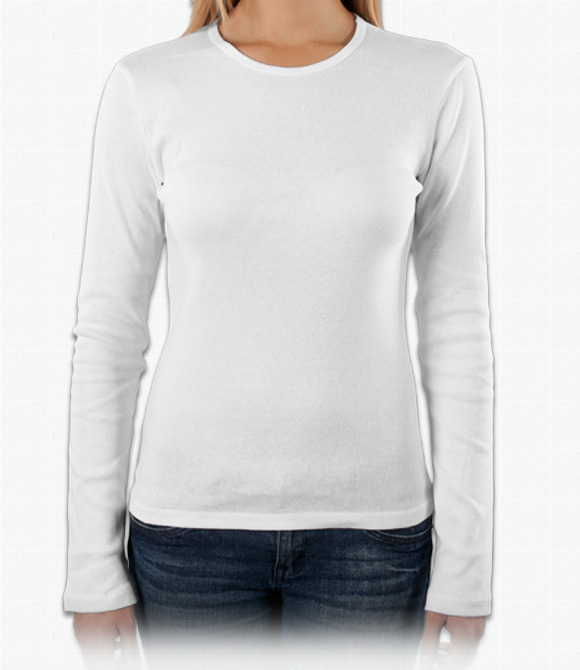 A very stylish, slim fit, long-sleeve t-shirt. Made from high quality cotton fabric. Sleeve are slightly longer than most long-sleeve shirts. We recommend ordering at least one size up as Bella products run smaller than other brands. "The long sleeved shirt is good, but it's the type that will stretch out near the hands, neck and at the bottom. I'll be sure not to dry it too because it will shrink up substantially."